Raise your hand if you have a beef-loving husband! And, if I'm being honest, I'm a beef eater too! 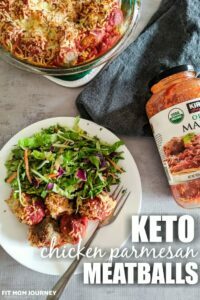 But besides beef being the main ingredient in these Keto Beef tips, there are two main reasons I love making this recipe: it requires only 4 ingredients + my slow cooker, and because it's a great way to use up my ButcherBox grass-fed beef tips! Also important: the beef tips can stay in the slow cooker up to 12 hours on low, without getting mushy and gross. Just awesome flavor, fall-apart beef tips, and leftovers for lunch the next day. 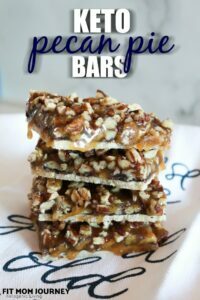 Usually, this recipe is kept in the meal plan rotation for days when I know we are going to be busy after work, or a Sunday afternoon. It is the perfect recipe for those days because being left in the slow cooker longer than you planned won't make it inedible. Traditionally, beef tips are served with the gravy they cooked in (or the broth, made into gravy) and the whole thing is spooned over egg noodles or rice. 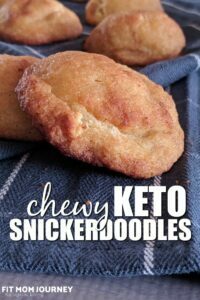 Really, the list of what you could serve Keto Beef Tips over is pretty endless. 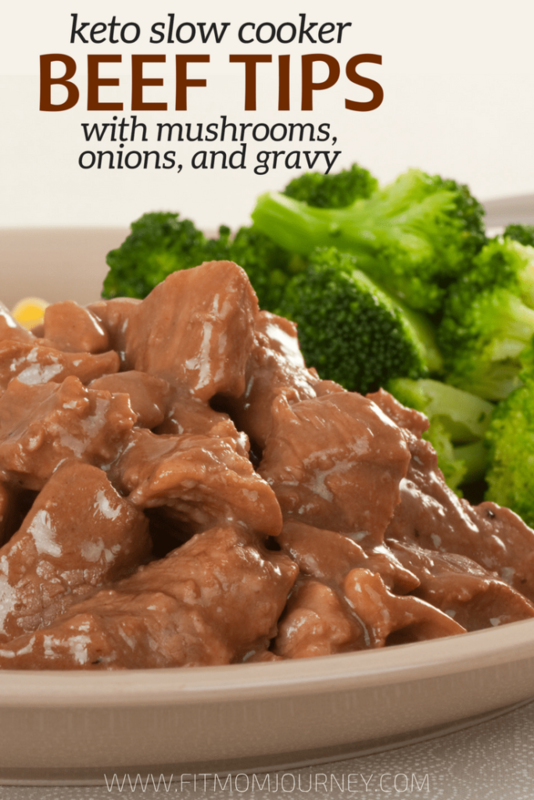 Take a fairly bland Keto base, and pour the beef tips and gravy over for a hearty and easy meal! This recipes is, every month, the perfect opportunity to use the beef tips that come in my ButcherBox! 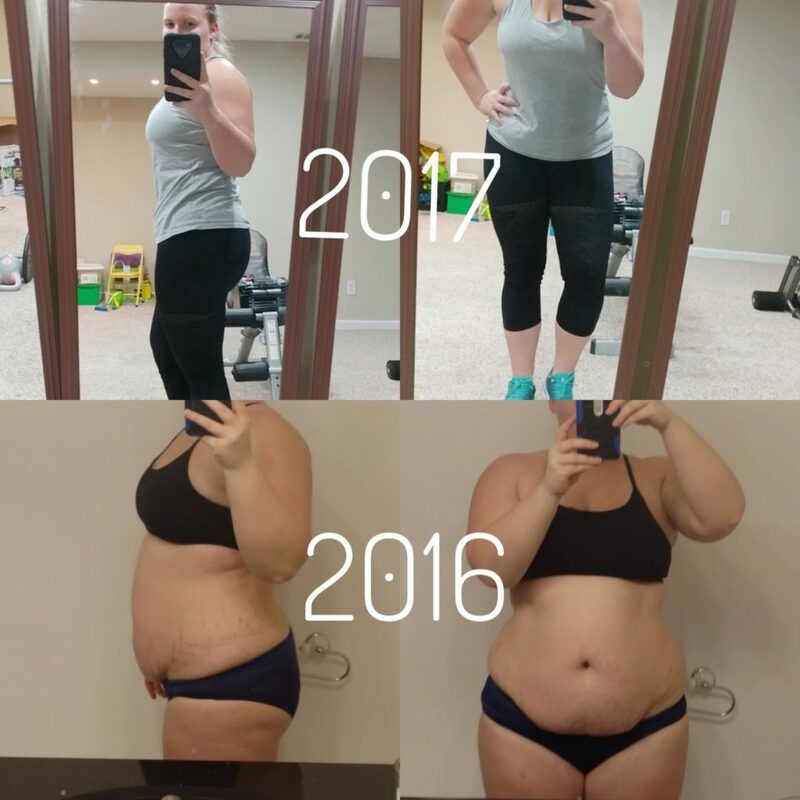 I order the Custom Big Box each month, so I can chose exactly what I'm getting, and then make a meal plan based off of it. Plus, I feel good about feeding my family high-quality, grass-fed beef. Mix the Beef Onion Mix, Garlic, Bone Broth, and Water in a bowl. Place the Beef Tips in the bottom of your slow cooker, top it with the mushrooms, then pour the broth mixture on top. 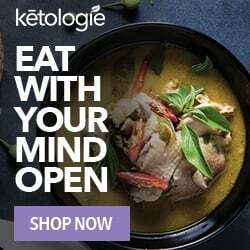 Serve over your choice of keto base! 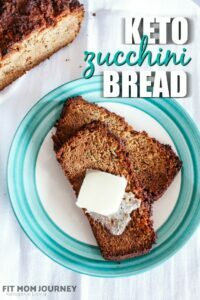 This recipe was included in my ButcherBox Meal Plan, and has also been featured in a couple of my Keto Meal Plans – check them out if you need some help meal planning! What is beefy onion mix? Where do you get it? Are 2 scoops of the beef bone broth equivalent to 2 beef bouillon cubes? What is 2 scoops boon broth? Like table spoons or cups or what? Or is that a boullion? What is the the nutritional information on this recipe? I have for about 2 weeks and it tasted great. Not sure about any longer than that – sorry!